Over/Under: Under 157.5 at 1.87 Bet Now! It was far from the straightforward win that the home side was hoping for but in the end, Real Madrid came through the opening game against Anadolu with enough to spare in the end. However, less than 48 hours after that game, the two teams clash again, and there is a lot at stake. If the home side prevails, they will take a 2-0 lead to Turkey, safe in the knowledge that they only need to win one game, out of a potential 3 games, to make their way to the Final Four. For Anadolu, there is plenty of incentive to take the game to Real in the hope of squaring the series at 1-1 before they get home advantage. It may not be an impossible task, don’t forget that a 0-15 scoring run for the away team in the second quarter saw them lead by 11 points at that point. There were plenty of positive elements about the Turkish team’s play on Wednesday to suggest that they can cause problems yet again, but they will need to cut down the errors if they want to have an impact on the game. There were a total of 16 turnovers from Efes in the game, with 8 of them coming from Thomas Huertel alone. Cutting these from their play will give the Turkish side a much better chance of success in this game, and there could be any outcome if the away team removes the silly mistakes from their game. The sides have clashed three times now this season and the home team has always won, which will give Real Madrid even further confidence in this one. Of course, if the home team always wins in these games, it will eventually come down to the fifth game but there is a lot to be said for the away team breaking this run at some point and the Turkish team will be highly motivated to do so in this match. Real Madrid now hold a 20-5 record in the Euroleague this season, which includes an 8-2 record in the regular season and their 11-3 record in the Top 16. Anadolu now have a 12-13 record in the Euroleague campaign for this campaign and this of course includes a 6-4 record in the regular season and a 6-8 record in the Top 16. After Wednesday night, the average points for record sees Real Madrid lead, 87.1 to 75.8. Felipe Reyes is still the key player for Real Madrid this season. His average of 12.0 points per game is unchanged from before the first game but he is now on an average of 5.7 rebounds per game. Sergio Llull can now boast of an average of 5.6 assists per game this season. Stratos Perperoglou will be a key player on Friday night and he has served up an average of 10.3 points per game this campaign while Dario Saric, has served up an average of 5.7 rebounds per game. Thomas Heurtel, regardless of the number of turnovers he suffered on Wednesday night, is now the top ranked assists player for Efes this campaign, with 5.9. 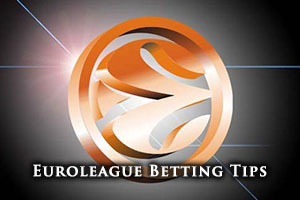 For the Money Line bet, Bwin are offering odds of 1.11 on Real Madrid and odds of 7.25 for Anadolu Efes. For the handicap odds, taking Real Madrid at -12.5 at odds of 1.87 could be a decent bet. Anyone looking for the Over/Under market will appreciate going UNDER 157.5 at odds of 1.87. Bet Now!